Folgers Contest! Vote and Win! 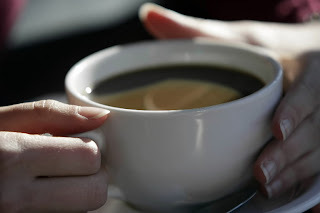 This is sponsored content from BlogHer and Folgers. I love waking up in the morning before everyone else. The house is quiet and peaceful and I can start my day with my own voice in my head instead of all the “Mom….Mom” that having 4 children brings. I usually slip out my bedroom door, start a load of laundry and then head up the stairs to push the button on the coffee pot, all the while hoping and praying that I won’t wake anyone up and ruin the moment. Then with a warm mug of cream, sugary coffee I curl up on the couch with a cozy blanket and read. It feels like such luxury to sit and bury myself in a good book. And here’s the best part. There are NO interruptions. To a busy mom, that’s like a little slice of heaven. When I start my day with time for myself I’m just a much better person for everyone else that relies on me all day long. And THAT is the best part of waking up for me. What do you do first thing in the morning? The people over at Folgers are having a fun contest. Remember Folgers “Best Part of Waking Up” jingle? Well, it’s time for something new. Head on over for a visit to the Folgers website and you can vote for the best new jingle. Then come back and tell me which one you liked. There are some amazingly talented people waiting to be declared the winner. The semi-finalists get to fly to New York City where the winner will be picked. Vote every day on the top 10 and you could win one of five $100 grocery store gift card daily prizes and the Grand Prize of $10,000 just for voting. For the official rules go HERE. Slim-Fast $100 Gift Pack Giveaway! This is a sponsored review from BlogHer and Slim•Fast. My birthday was a few weeks ago. It wasn’t the big 4-0 but it was the one right before that. And honestly I don’t understand how this can be. It seems like just last weekend I was riding home in my car with all my teenage friends, singing along to the radio at the top of my lungs after a night dancing in the city. Wasn’t I just worrying about what to wear to the prom? And In my head I’m still a size 4 although the tag in my jeans says otherwise. (evil tags) So I decided I was going to give myself a present for my birthday; one that only I could give to myself. I was going to knock off a few pounds so that I could feel good about my aging body and feel healthier. I mean, it’s not hard to believe that my teenager’s friends would look at their mom and say, “Wow, your mom looks like she could be your sister!” Or that maybe when I wasn’t sure what to wear I could sneak into my daughter’s closet and borrow something. Don’t laugh! It could happen…maybe. So that’s when I began to dream about a little shrinkage. 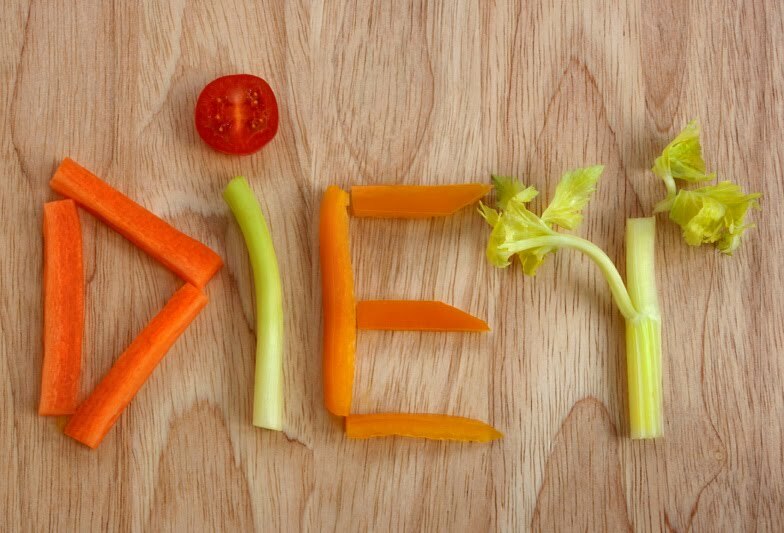 You know… eat a little less, and make better choices….all that good stuff. So far things are going good. My jeans are a little looser, my energy is coming back and I just feel better. But wouldn’t it be nice to have a little help? The people at Slim-Fast have a great sweepstakes going on where you can win a Slim-Fast gift pack valued at $100. It’s a little something to kick start your own weight loss and get those jeans to feel a little looser. Contest runs from March 28th to April 20th. Visit the Official site. Here are all the details so you can enter to win. • You have 72 hours to get back to me; otherwise a new winner will be selected. No Twitter or blog? Visit the Official Rulesto learn other ways to enter. And go check out Blogher and Visit the Promotions & Prizes section! I gasped….audibly gasped, when I opened my last electric bill. Granted, it’s winter here in Washington State but the amount of my bill could have covered a really nice car payment, the payment for my kids braces or my grocery bill for an entire month. And then I realized I’ve got computers, electric heat, radios, T.V’s, washers and dryers and all kinds of gadgets running all day long. Ack! It is time to be proactive and knock that bill down because at this rate I’ll be searching for change in the couch cushions to pay my crazy electric bill. I can guess that I’m not the only one having this problem. We are a society of convenience which means less of my own energy and more energy from another source. But not only does that hurt me in the pocketbook but what does that do to our resources? The people at GE know exactly who to go to for some answers. GE is currently hosting the Ecomagination Challenge: Powering Your Home an open call for fresh thinking on eco-home technology and innovations that can effectively harness renewable energy for the home. GE is looking for innovative ideas about capturing, managing, and using energy in the home. Go check out their Ecomagination Challenge for a chance to enter your idea. No Twitter or blog? Read the official rules to learn about alternate forms of entry. Winners will be selected via random draw, and will be notified by e-mail. Make sure to leave your email address! You have 72 hours to get back to me; otherwise a new winner will be selected. 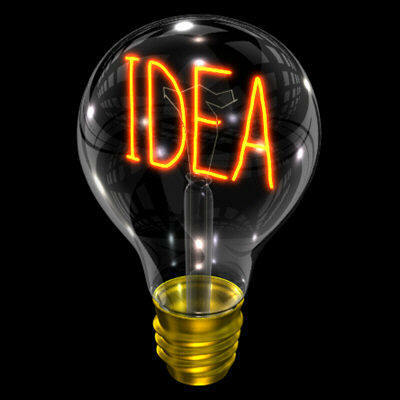 Second: for big ideas, submit them to GE's ecomagination Challenge. Share with them your best ideas on how to improve our energy future and your idea could get funded. So let’s hear it. Here’s your chance to share your ideas! 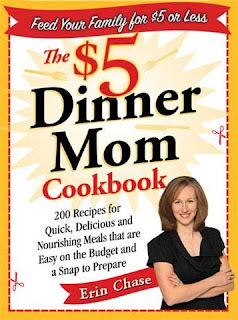 Erin over at $5 dinners is a great resource for frugal family meals. We both started our frugal blogs around the same time so we've known each other for awhile. She's a wealth of information on how to cook healthy dinners for your family that are amazingly thrifty plus she had loads of tips on preparing meals ahead, couponing, food storage and about a gazillion other things. And the best part? She's put it all into an incredible book. She's been generous enough to give me TWO to giveaway. And if you just can't wait you can go HERE to buy one for yourself. Have you been wanting to learn couponing but it just overwhelms you? Then another great book is available to you. 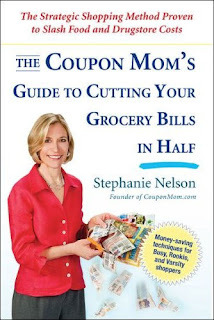 Stephanie Nelson, the Coupon Mom, has written a great book for everyone from rookie couponers to the pros. She lays out great ways to save money using coupons, tracking store sales, finding free coupon resources, and much more! And I also have one of her books to giveaway to some lucky winner! Enter to win one of these three books by leaving a comment with your email address so that I can contact you. US and Canada residents only please. Giveaway ends on Thursday, January 28th at midnight PST. The winners of the Poiema Place Giveaway have been emailed privately but only one of the winners responded. Make sure to check your in boxes or your junk e-mail filter. Your winning announcement might be in there. What a great surprise! Check back for often for upcoming giveaways. 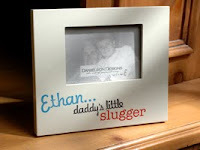 I absolutely love words in my house whether they are on the walls, on a plaque or in a picture frame. Special phrases or words can instantly put your personality in your home and help visitors know what you value and who you are. So I'm really excited to give you the opportunity to put some personality in your own home. 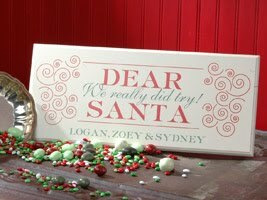 Rozlynn at Poiema Place has an online design studio where you can make custom plaques or photo frames. 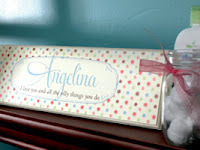 And she is going to give away ANY item in her design studio, up to $39.99 in value, to TWO lucky winners. That wasn't an error. You can go to her site and choose ANYTHING there up to $39.99, design it and two winners will receive the design of their choice. I picked this beautiful plaque (my picture doesn't even do it justice) and had one of my favorite bible verses on it....Psalm 139:1-6. It sits on one of the end tables in my living room and I love it. And for my readers, Rozlynn is offering $10 off any purchase by using the code "GROCERY" at check out. The coupon code expires at the end of the giveaway so don't wait too long to use it. 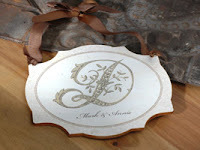 Go visit Poiema Place studio at Danielson Designs and pick the custom plaque or frame that you like the best. Come back and leave a comment telling us your favorite one. Be sure to leave an e-mail address so we can contact you if you win. To receive an extra entry, twitter or facebook and send your readers back here to the this giveaway post. Be sure to leave a second comment letting me know that you've done this. The giveaway ends Wednesday at midnight and the TWO winners will be randomly selected and announced on Thursday. US residents only please. And, if you are a blogger and are interested in doing a giveaway with Rozlynn she would love to here from you. Contact her at rozlynn@poiemaplace.com. Lori H from Washington was the winner of the Nifty Nappy Organic Diaper Giveaway. Congratulations Lori and thank you to Vilate for sponsoring such a fun giveaway. Remember that if you make a purchase from Nifty Nappy you can enter in the code HAPPYNAPPY to get 10% off your purchase. And stay tuned for upcoming giveaways.